Denver schoolteachers are going on strike today. The strike comes after more than a year of negotiations between the teachers union and the school district, that have focused on how to calculate base pay. The city hasn’t experienced a teacher strike in 25 years. 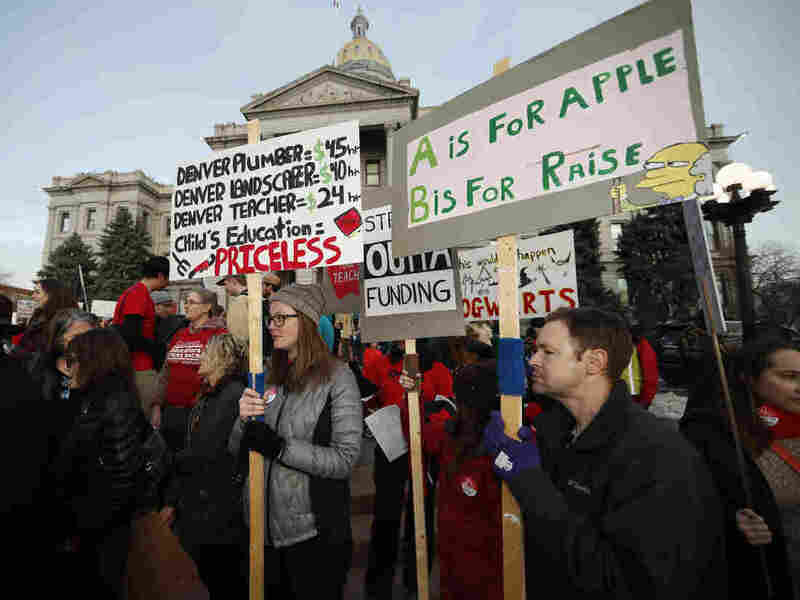 The strike will affect 71,000 students across 147 schools, Colorado Public Radio reports. Most Denver Public Schools will remain open, and the district has readied hundreds of additional substitute teachers. It’s unclear how many of the district’s more than 5,000 teachers will actually walk out. It will cost about $400,000 a day to keep the schools running during the strike, Gov. Jared Polis said. That’s about 1-2 percent of the budget for the school year if the strike lasts a week, the Colorado Sun reports. “We will strike Monday for our students and for our profession, and perhaps then DPS will get the message and return to the bargaining table with a serious proposal aimed at solving the teacher turnover crisis in Denver,” said Henry Roman, president of the Denver Classroom Teachers Association, the AP reports. The fundamental disagreement concerns how base pay is calculated. Twenty years ago, the district first piloted the “Professional Compensation System for Teachers,” known by most as ProComp. According to the Denver Post, the system paid teachers based on performance, with a series of bonuses that the district hoped would attract high quality educators. But Superintendent Susana Cordova says the district’s proposal “responds to what we heard from our teachers” and “significantly increases the base pay for all of our educators,” the AP reports.